I agree with most of the complaints about the current AoA system, particularly that fact that it turns your plane into a turret/spaceship and that the airbrake slows your plane down just as much as pulling a cobra. An extreme angle of attack should slow your plane down a lot more and the air resistance should make the plane want to point forward (so you can snap back to 0 AoA very quickly.) Not sure what should happen if the plane is drifting backwards but maybe the engines would shut off. I hope that makes sense. While we're on this topic, not only should aircraft lose airspeed at high AOA, but they should be prone to stalling so that it isn't abused. Aircraft with better AOA characteristics IRL could stall not as quickly and aircraft with thrust vectoring could just simply not stall but end up flying very slowly. In general I'm in agreement with Ibizen's ideas on the matter. The magnetization should be fixed, speed retention improved, and we should have a set of variables to have an effect on drag while pointing the nose at different angles from the velocity vector. If those things were implemented, one could work on making forth the game as realistic or newtonian space game as they wanted, imho, especially if speed retention was a set of variables we also had control over. I'm completely aware of that. If you all don't mind, I'll hijack this thread to post how the edit the AOA parameters for each unit. At the moment I´m unable to post the values here, but just give me an hour or so and I´m going to edit this post. 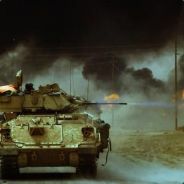 Following the discussion on steam, I was considering creating a thread there, but now I´ll use this opportunity to post here first. SpeedLoss_At90Alpha = "0 30 70"
SpeedLoss_At180Alpha = "0 20 50"
StressDamage_SpdVar_Keys= "100 200 300 600"
StressDamage_SpdVar_Values= "0 1 3 9"
Awesome, Times. Any chance we could see that magnetization/accelerating along the velocity vector issue fixed? Also, since a bunch of aircraft completely lack these settings, that means they're using these default values? ...mean that the angle off velocity vector will affect the aircraft's control authority (i.e. make you turn slower at high AoA)?